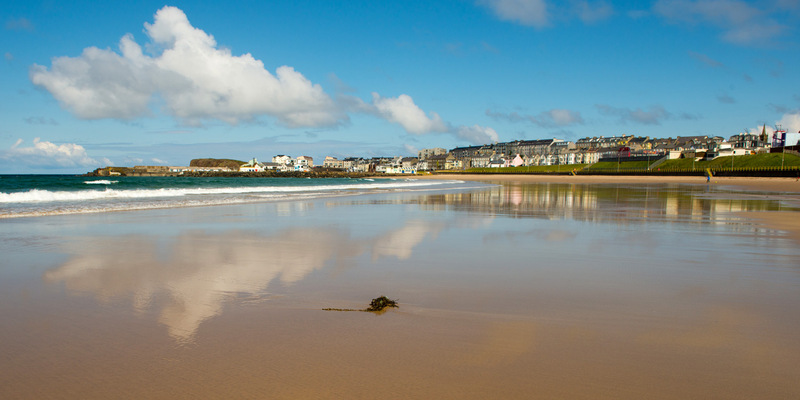 Portrush is a lively seaside town that comes alive in summer. 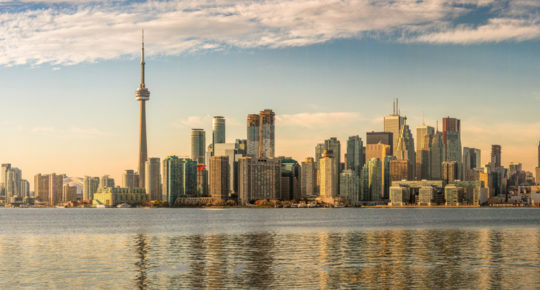 There’s beautiful beaches, surfing, ice cream, fine dining and much more. It’s the perfect stop for a coastal retreat, with scenic walks and fresh sea air to boot. 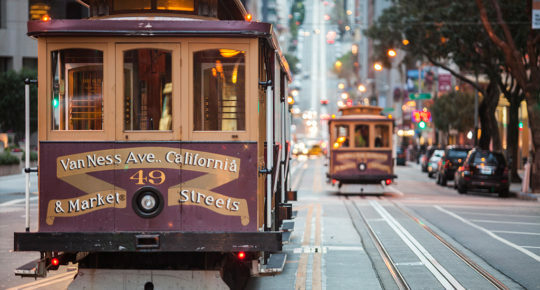 Not surprisingly, many of its attractions are unashamedly focused on good old-fashioned family fun. However, as one of Ireland’s top surfing centres and home to one of Ireland’s most prestigious golf clubs, there’s something for everyone. Portrush is set on a mile long peninsula with glorious beaches either side and an impressive rocky edge for its northern rim. 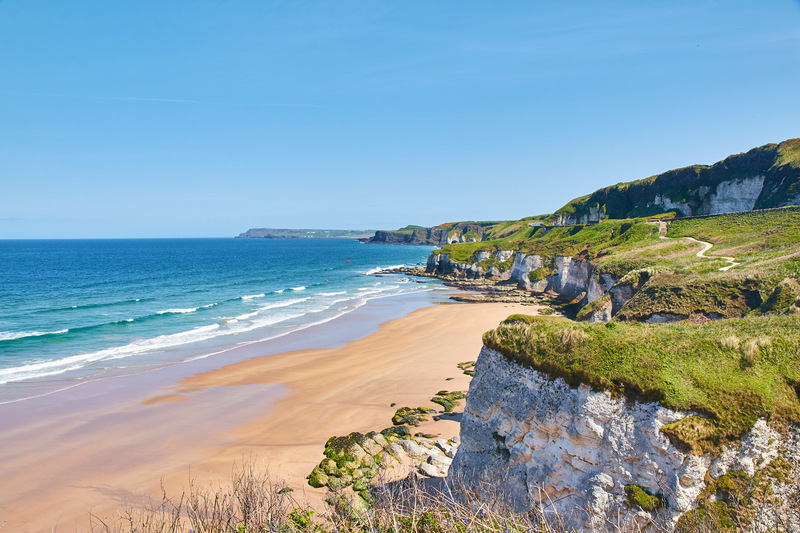 There are only eight Blue Flag beaches in Northern Ireland and all three of the Portrush beaches have the accolade, the West and East Strands in town and the Whiterocks on the coast towards Bushmills. The West Strand starts in town at the harbour and stretches towards Portstewart. All along the beach, there’s a walking and cycle path offering beautiful views of the town. This is a perfect beach for watersports, especially surfing. It’s probably most popular with beginner surfers thanks to its consistency and convenience. The beach has a handy car park that’s next door to the recently renovated train station, and best of all, Alive Surf School offers hot showers after your surf lesson. Lessons cost £30 for two hours and include all equipment, tuition, and a free drink and snack. The East Strand is on the other side of the Portrush peninsula. It’s a golden sandy beach over two miles long that’s perfect for surfing, swimming, walking and generally admiring the sweeping views. The world famous Royal Portrush Championship Golf Course is prestigiously placed right next to the beach and ancient sand dunes. This not only provides a breath-taking game of golf but also keeps the area behind the beach in pristine condition and beautifully ‘green’. The Whiterocks provides a completely different vibe from the other two beaches. It is a continuation of the East Strand and best known for its white limestone chalk cliffs that are between 65 and 142 million years old. You can get to the beach by walking, cycling or driving down the winding road to the shoreline car parks. This is a popular beach for surfing and is a personal favourite of mine. The views from the top of the sand dunes are truly special. 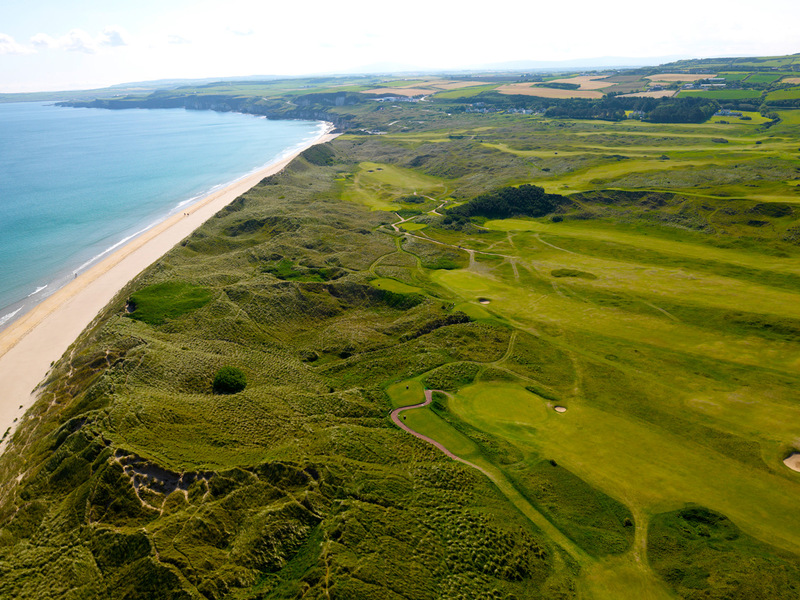 Portrush has two golf clubs – the world-famous Royal Portrush and the smaller Rathmore golf course. The latter is where Graeme McDowell learnt the art of links golf. It was famously named by Golf Digest as the World Number 1 course outside the US. The 148th Open will be played at Royal Portrush from 14-21 July 2019, marking a historic return to Northern Ireland for golf’s original and most international golf Championship after nearly 70 years. The Open was last staged at Royal Portrush in 1951. Sports fans from throughout Ireland and around the world are expected to descend upon Portrush to watch the world’s greatest golfers compete for the iconic Claret Jug. Along the causeway coast, you’ll find beauty around every corner. Dunluce Castle is possibly one of the most dramatic places in Ireland. The ruins of a 14th-century castle are perched 100ft above the wild ocean. Over the years, Dunluce has been the site of tales of wailing banshees, smugglers and tragic lovers. In the 17th century, part of the castle crumbled into the sea during a monumental storm. Nowadays, Dunluce remains only in ruins, but its views are stunning. From the castle head to Bushmills and visit The Old Bushmills Distillery. 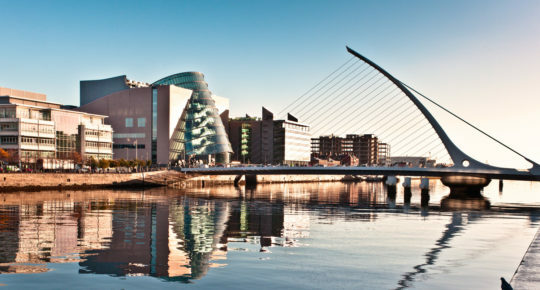 It’s Ireland’s oldest working distillery and has been in operation since 1608. Take a guided tour to see how the whiskey is produced today. If you want the full Portrush experience, a meal at Ramore is an absolute must. This isn’t so much one restaurant as five (and a lively pub) all under the same roof. The Wine Bar is renowned for its modern and innovative décor, energetic atmosphere and its crowd-pleasing menu, which offers up steaks, fish and chips and wood-fired pizzas. The Mermaid focuses on fish and local specials. Neptune and Prawn brings an Asian offering to the table. The Harbour Bistro serves up a contemporary menu with its selection of wood-fired grilled meats. The Tourist offers up tacos, burritos and pizzas in a cool and quirky space. If that’s not enough excitement for you, be sure to pop into the Harbour Bar which is the perfect combination of old and new. The traditional front bar on the ground floor offers a mean pint of Guinness and a warm welcome. In contrast, the Gin Bar on the first floor offers an impressive range of premium gins and spirits, and live entertainment every night of the week. 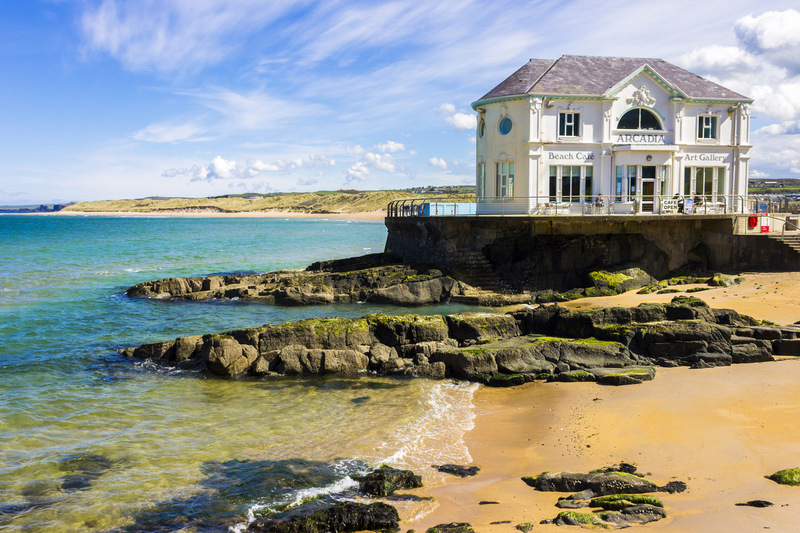 Getting there: Portrush is easily accessible from Dublin by bus, rail and car. Read more: Golfer’s paradise: 17 beautiful courses on Ireland’s east coast.